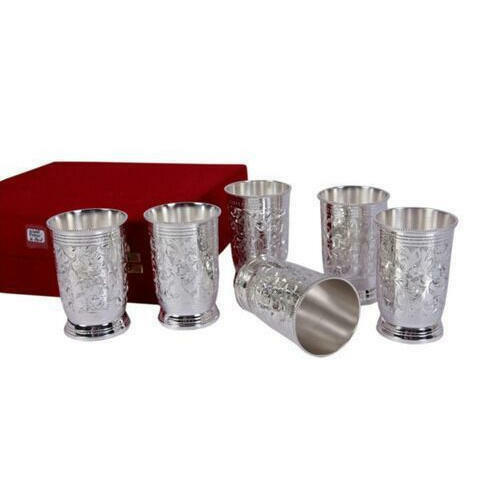 Backed with huge industry experience and market understanding, we are involved in providing a wide variety of SIlver Coated Glass Set for our valued patrons. Owing to our rich experience and expertise, we are Manufacturing and Exporting a wide range of Thali Set, Brass Ganpati, Brass Decorative Items, Brass Pots, etc. These products are highly preferred and appreciated for their antique designs and wonderful appeal.